You'll be £5.20 closer to your next £10.00 credit when you purchase Dog Fight. What's this? 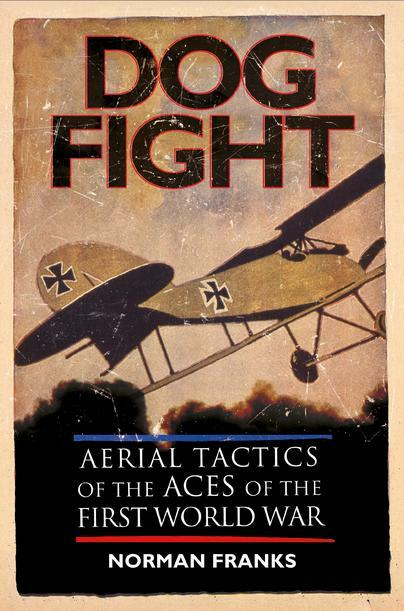 • Incisive analysis of the developments in aerial warfare during WWI • A glimpse into the dynamic world of fighter aces • Based on original eyewitness accounts The history of WWI aviation is a rich and varied story marked by the evolution of aircraft from slow moving, fragile, and unreliable powered kites, into quick, agile, sturdy fighter craft. At the same time there emerged a new kind of 'soldier', the fighter pilots whose individual cunning and bravery became crucial in the fight for control of the air. Dog-fight traces this rapid technological development alongside the strategy and planning of commanders and front-line airmen as they adapted to the rapidly changing events around them and learned to get the best from their machines. Often, this involved discovering and employing tactics instinctively to stay alive. Based on the author's personal correspondence with a number of WWI fighter pilots and aces, and drawing on published contemporary memoirs, this is an authoritative and lively history that serves as a captivating tribute to the brave pilots of both sides. Norman Franks is an acknowledged expert on aviation history with a special interest in the air war over the trenches of the Western Front.